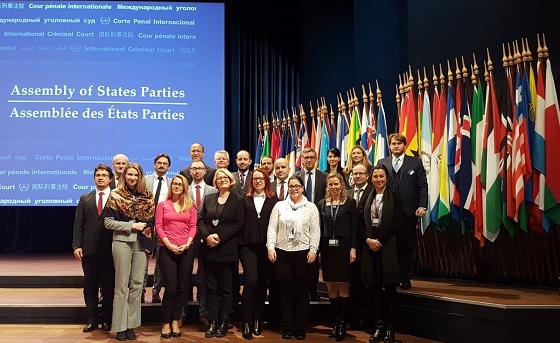 The Embassy of the Republic of Serbia in The Hague ended a one-year coordination of the Eastern European Regional Group of States Parties to the Rome Statute in January this year. During the one-year coordination, the Embassy organized several meetings of the Group with the senior officials of the International Criminal Court - former President of the Court of S.F. Gurmendi, Prosecutor F. Bensud, Registrar P. Luis and current President of the Court – C.. Eboe-Osuji. The group also had the opportunity to discuss issues related to the election process of the future prosecutor of the International Criminal Court with the President of the Assembly of States Parties, Judge O-Gon Kwon. In addition, the Embassy of the Republic of Serbia organized a series of meetings of the regional group at the expert level, which discussed issues related to the work of the International Criminal Court and current developments, as well as issues of special interest to Member States. The function of the coordinator of the Eastern European Regional Group of States Parties to the Rome Statute has bee assumed by the Embassy of Slovakia in January this year.